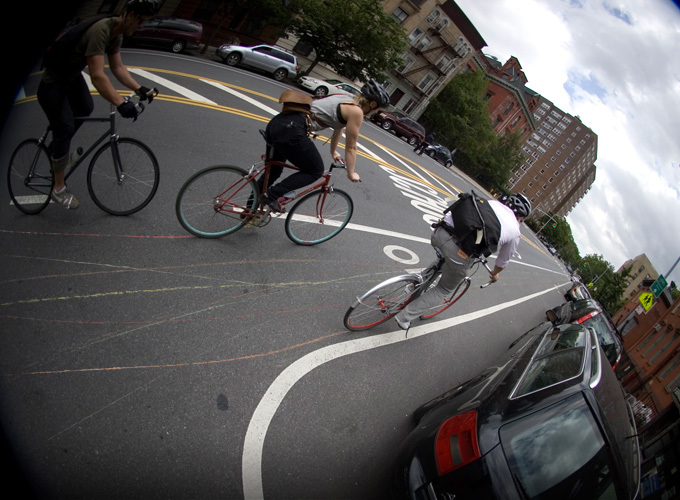 Contrail, created by ULICU, a social innovation company, is a small attachment to your bicycle that dispenses non-toxic and eco-friendly chalk liquid on to the tire of your bike and leaves a temporary mark on the pavement. The project wrapped up its KickStarter funding phase in November and is now in production to be distributed to non-profit organizations. 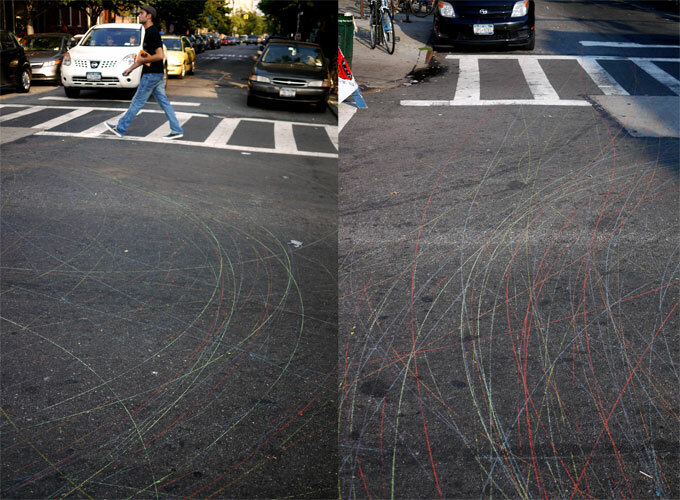 With 204 backers, the tool is best used in groups, leaving a multitude of paths and colors on shared spaces. In fact, the project’s website lists guiding bike rides and fundraisers as the best times to use Contrail. The project’s main objective is to get more people on bicycles and create safer shared spaces. Within this, there are three smaller objectives the project hopes to accomplish. The first one is to celebrate the growing bicycle community. Through a partnership with “Times Up!“, a New York City-based environmental nonprofit, Contrail hopes to organize neighborhood-exploration group bike rides. The creators of the project also aim to lend the visual aesthetic of Contrail to fundraising efforts for various causes. According to the project’s KickStarter page, using Contrail for such highly visible fundraising rides would leave an even stronger impression and message. To follow Contrail, you can visit their website at bikecontrail.com.